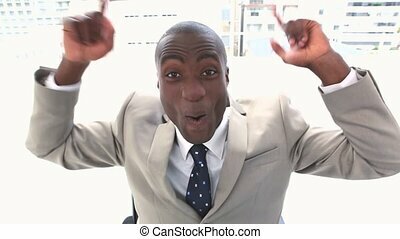 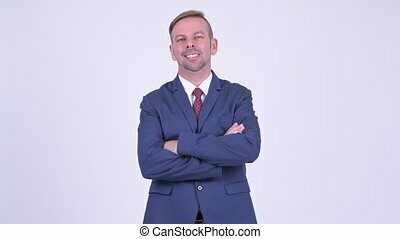 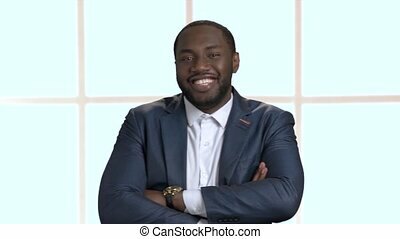 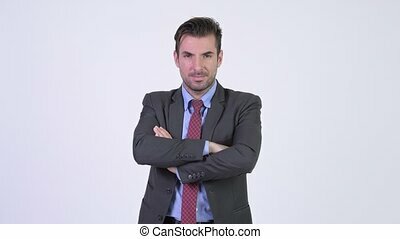 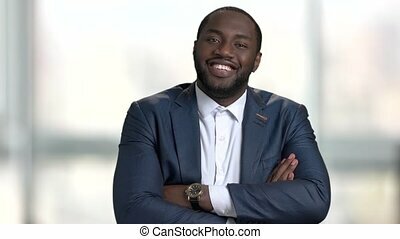 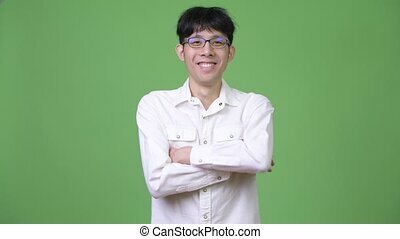 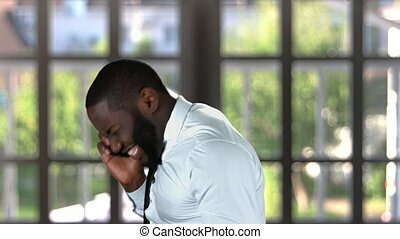 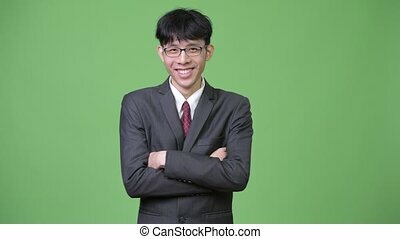 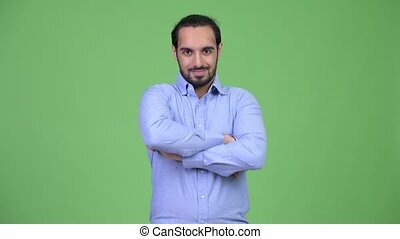 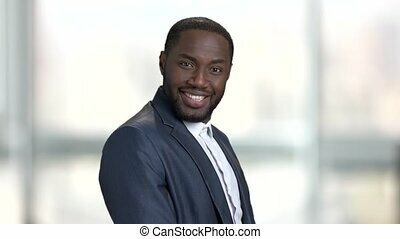 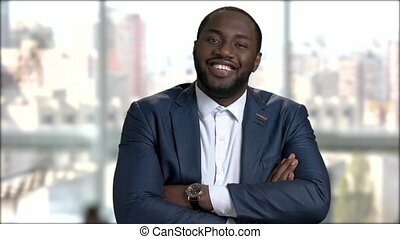 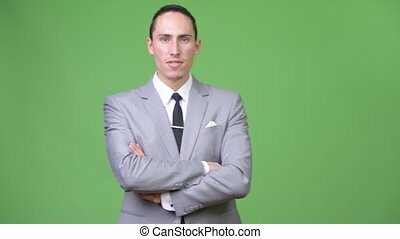 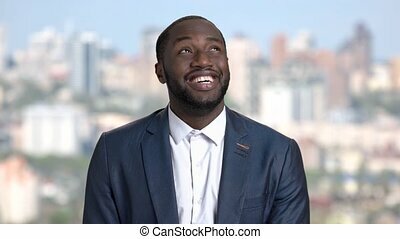 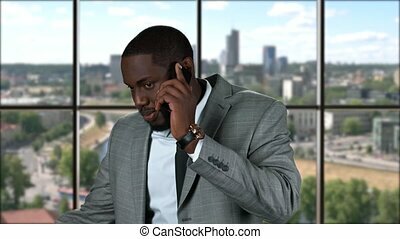 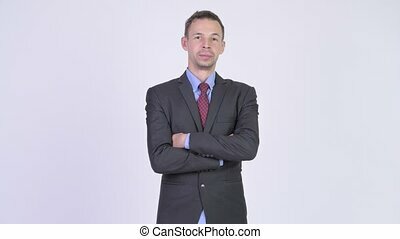 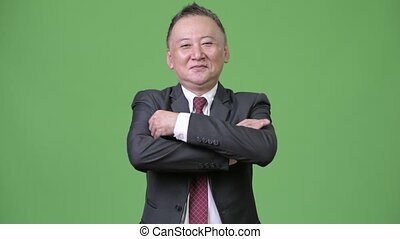 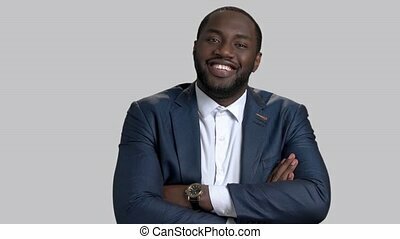 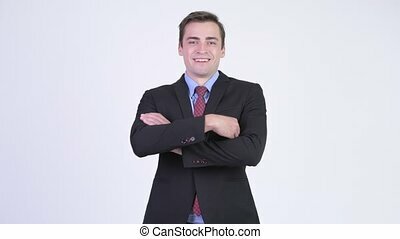 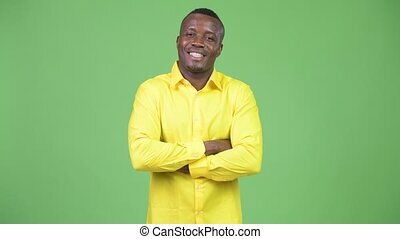 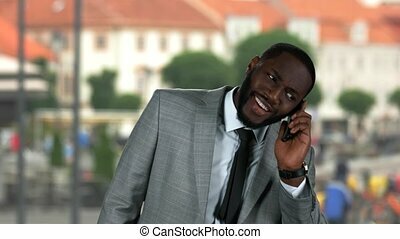 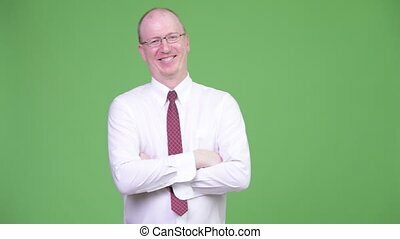 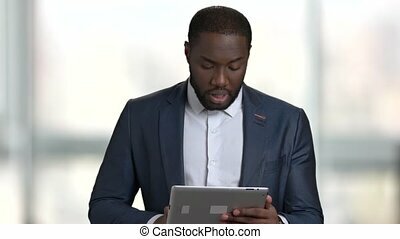 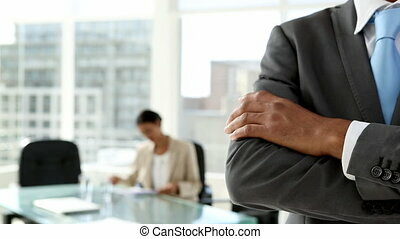 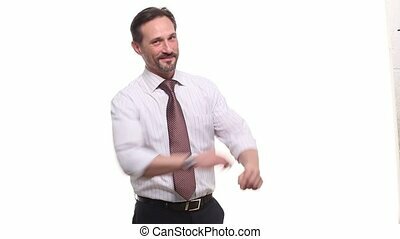 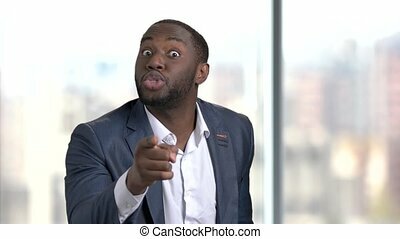 Cheerful Happy Black Businessman With Crossed Arms. 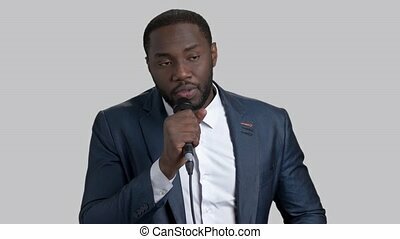 Black cheerful businessman talking in microphone. 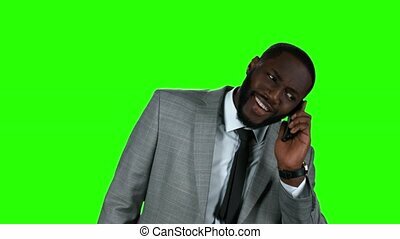 Afro-american entertainer is talking with in microphone on grey background. 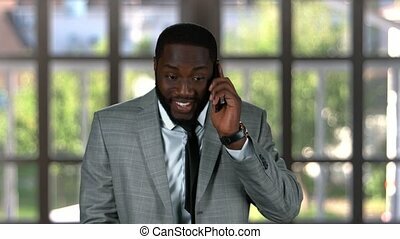 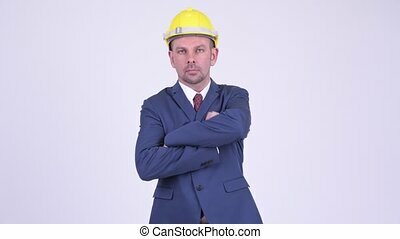 Businessman with phone raising fist. 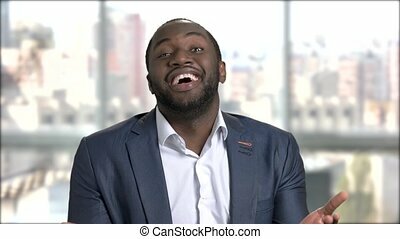 Happy black man.